When it comes to the question of intellectual property and its protection, the world of fashion can be a particularly challenging one to navigate. There are essentially key areas where the laws relating to IP protection may (or may not) come into play. Patterns are essentially a set of instructions for making clothes (or other textile items), generally using one or more established techniques (such as sewing or embroidery stitches, knitting, crochet and so forth). Even though the nature of patterns is such that they are often composed of pictures (such as sewing templates) and numbers (e.g. the number of stitches to knit in a certain way) they are subject to the same sort and level of protection as more obviously “literary” works. This does, however, cut both ways, in the sense that the creator of a garment could claim protection for the way in which they described the technique for creating a polo neck, but could not copyright or otherwise protect the concept of the polo neck itself since this has long since been established as being in common use and, essentially, in the public domain. Since there is so much in the world of fashion which brands cannot put under copyright (such as the shapes of everyday clothes), it’s hardly surprising that trademarks, which brands can control, often assume huge importance to the point where some of them can be recognisable at a glance even to people who wouldn’t necessarily consider themselves dedicated followers of fashion. While there are plenty of online (and offline) articles discussing the problem of large brands being counterfeited and the measures they take to protect themselves against this issue, sometimes the allegations of copying flow in the other direction, such as the complaint made by niche UK brand “No Fixed Abode” against global behemoth Versace. In short, Emma Mann, founder of the company, registered an image of a lion with a door knocker in its mouth and the text “Individual Anarchism” as a trademark. The registration is dated to October 2016. She says that Versace has copied the image and used it on about 220 items. According to her media statement, she approached Versace informally about their use of the design and having not received a satisfactory response, has now proceeded to take legal action. It will be interesting to see how this case progresses, as, even if there are agreed to be similarities between Ms Mann’s trademark and the image used by Versace, there are a couple of points in Versace’s favour. First of all, the trademark is for the image of a lion’s head with the words “NO FIXED ABODE” “INDIVIDUAL ANARCHISM” and “LONDON” underneath it. Versace is simply using an image of a lion’s head. Secondly, the image was registered as a trademark, whereas Versace is using it as a design alongside its own, frankly far more recognisable, trademark. It is therefore hard to see any way, shape or form in which a consumer could feasibly pick up an item made by Versace and think that they were buying an item from No Fixed Abode. Unregistered designs have protection for the shape and configuration of an article. Registering the design can extend the protection to surface decorations such as printed patterns and embroidery for a period of up to 25 years (assuming the payment of renewal fees). 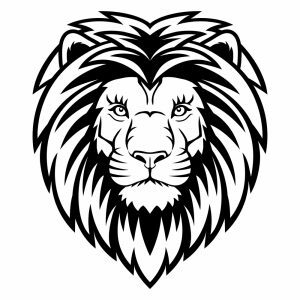 Given that No Fixed Abode appear to be using the lion’s head design (albeit without the text) as a recurring motif in many of their garments, it might have been more appropriate to have protected it by means of listing it as a registered design (in addition to registering it as a trademark). If you’re considering obtaining a trademark, please don’t hesitate to contact us to see if we can help you ensure your work is protected.